Great Sponsors for a Great Market! We are proud to announce our market sponsors. Their financial support helps us continue to provide a Farmers' Market, free activities, educational sessions, entertainment, and more to the communities of East Pierce County! 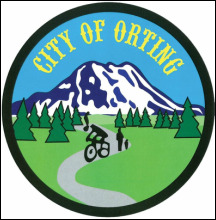 Orting Valley Farmers Market is a 501(c)(3) organization.